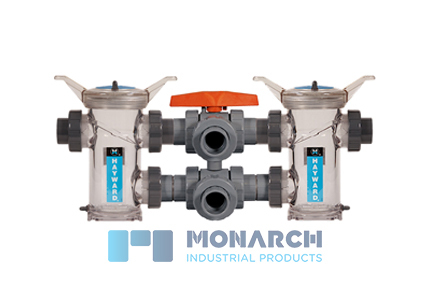 Hayward’s Industry leading DB Series strainers available in PVC, CPVC, GFPP and Eastar materials with FPM and EPDM seals with either socket, threaded and flanged end connections. 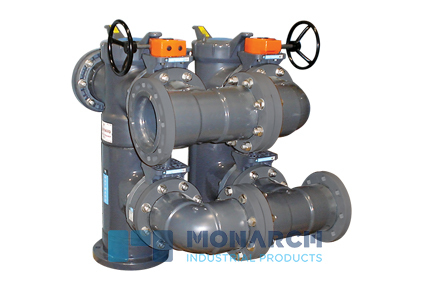 Size range of 1/2" - 8" for PVC and CPVC and up to 4" for Eastar and GFPP. Each strainer comes with a standard plastic basket. Metal baskets optional. 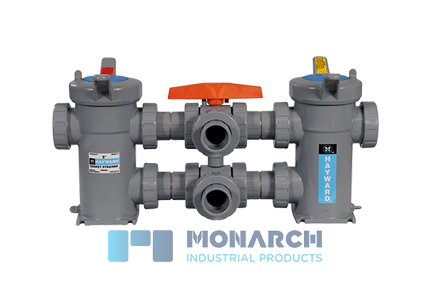 Flanged: 1/2", 3/4", 1", 1-1/4", 1-1/2", 2", 2-1/2", 3", 4"
Threaded: 1/2", 3/4", 1", 1-1/4", 1-1/2", 2", 2-1/2", 3", 4"
Socket: 1/2", 3/4", 1", 1-1/4", 1-1/2", 2", 2-1/2", 3", 4"
Flanged: 1/2", 3/4", 1", 1-1/4", 1-1/2", 2", 3", 4"
Threaded: 1/2", 3/4", 1", 1-1/4", 1-1/2", 2", 3", 4"
Socket: 1/2", 3/4", 1", 1-1/4", 1-1/2", 2", 3", 4"